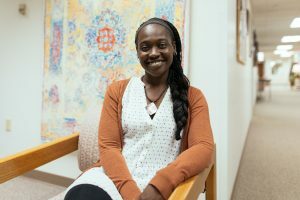 If there’s a common thread that runs through Sabrina Burress’s counseling research, her career passions and her commitment to family, it’s listening and talking openly and intimately. That’s exactly what Burress did in her capstone research project, and what she hopes will continue to play a big role in her career and family. Sabrina Burress in fall 2017 in the MA in Counseling suite. That research fits well with Burress’s selection as a 2017-18 fellow in the NBCC Minority Fellowship Program-Youth. Administered by the National Board for Certified Counselors Foundation and funded by a grant from the Substance Abuse and Mental Health Services Administration, the program seeks to reduce health disparities and improve behavioral health care outcomes for racially and ethnically diverse populations by increasing the number of available culturally competent behavioral health professionals. Burress and Styer said that their small group sessions created safe spaces for authentic openness that challenged participants’ assumptions about each other and prompted the consideration of a variety of metaphors. 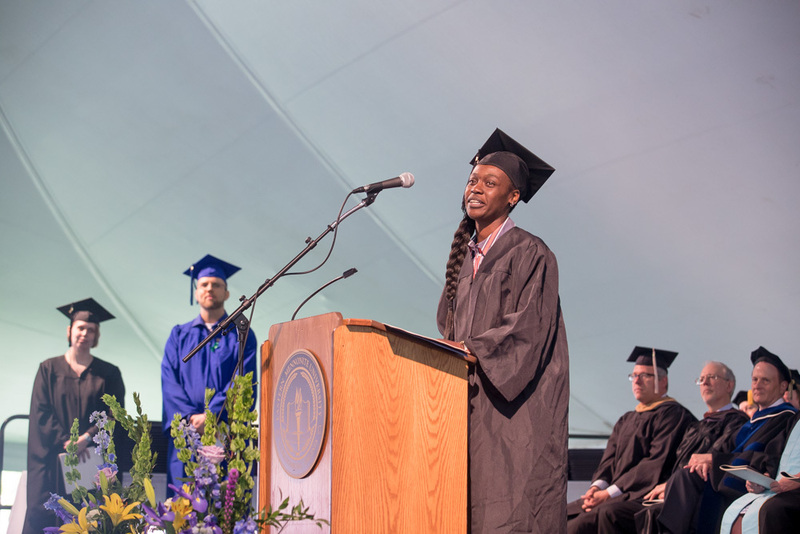 The pair plan to share their research findings with EMU’s Committee on Diversity and Inclusion and others in order to facilitate campus initiatives to bring students together across racial boundaries. “Inclusion takes all of us,” they said in their capstone presentation. That’s a lesson she hopes to apply to her dream of starting a nonprofit in her community in Staunton, Virginia. Nonprofit work, she hopes, will allow her to sidestep some of the barriers she saw in her seven years of work in the mental health field, where she observed that some people couldn’t access helpful services because they did not meet enrollment criteria. At the same time, strict institutional guidelines about service provider qualifications can get in the way of people who are interested in exploring or joining the mental health field and whose active interest could bolster services through supervised, pre-professional involvement, she said. Improving access to groups or mentorship takes the kind of creativity that a nonprofit has the latitude to exercise, she said. As a single mom living in Section Eight housing, she felt “like there was no way out,” she said. “My entire adult life has basically been trying to figure out things on my own,” she said. 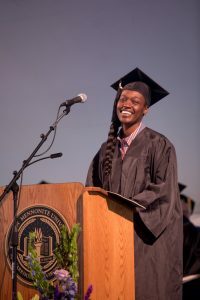 Her determination paid off: “One of the most powerful moments for me as a human being was being able to graduate out of the welfare system,” she said.